Metropolitan Custom Homes handled our renovation project starting in December of 2014. Throughout the process, the company was properly staffed, attentive to the "small" details and addressed any issues that we encountered along the way. 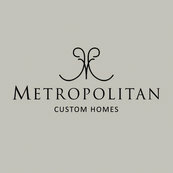 While I had heard horror stories from people dealing with contractors, Metropolitan Custom Homes was exactly the opposite. Stuart Beken and his staff are the utmost professionals and did everything they said they would do and more. I would highly recommend them to anyone considering a renovation project.